ND “HQ” (High-Quality) Self-Locking Threaded Inserts are constructed of lightweight molybdenum, disulfide coated, stainless steel with a nylon strip element that provides positive locking action for both internal and external threads. ND’s strip-type nylon locking element extends completely through the insert wall. During initial assembly, the nylon element is forced inward until it protrudes beyond the inner threads. When the mating fastener is installed, the locking element enhances metal-to-metal contact, both internally and externally. External prevailing torque is double the internal torque which prevents unintentional rotation of the insert after installation. ND's HQ Inserts can be reused repeatedly, making them ideal for use with low tensile strength materials such as aluminum, magnesium, and plastics. Installing ND HQ Self-Locking Threaded Inserts is as easy as using a standard drilling tool to drill, tap, and assemble. The normal temperature range for ND HQ Self-Locking Threaded Inserts is -60°F to +250°F (-45.5°C to +121°C). However, inserts are available in other materials to meet special services requirements. ND HQ Threaded Inserts offer a simple, inexpensive way to reclaim stripped threads on expensive components or subassemblies. Unlike conventional inserts which require tapping or drilling, ND HQ self-locking inserts do not damage mating part finishes. ND HQ Inserts can be used on low tensile strength materials to increase their strength and durability. Saves Time: Significant time can be saved by not requiring tapping, countersinking or insert indexing during assembly. Saves Money: Eliminates the need for costly key, ring, wire, swage and self-tapping inserts along with lock washers, cotter pins, or castellated nuts. 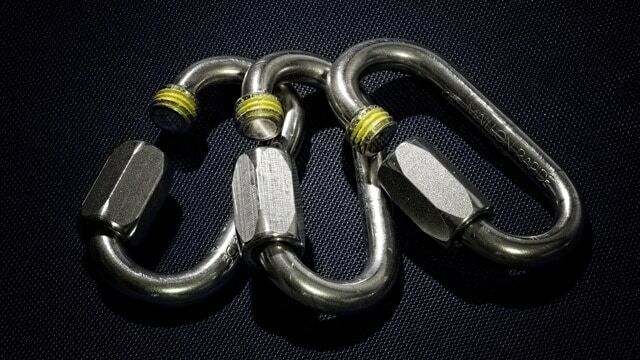 Reduces Fatigue: ND HQ Self-Locking Inserts greatly reduce the need for fastener re-tightening. Increased Margins: Add value to your fasteners without adding to inventory by supply customers with self-locking fasteners. Indefinite on part life under ideal storage conditions [+40°F (+4°C) to +90°F (+32°C)], but re-certification must occur once a year. Increase product quality while saving time and money with Pre-Applied adhesives and sealants.